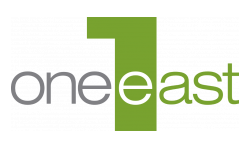 Welcome to the One East Tucson Blog! This week, we are pleased to highlight One East Tucson, our luxury apartment community offering stylish one- and two-bedroom apartments that can be your new home! Right in the heart of downtown Tucson, AZ, One East Tucson is near many city amenities like shopping, restaurants, museums, and more! Check out the some samples of apartments we offer by browsing our photo gallery! See for yourself just how luxurious living at One East Tucson can be! The sleek design and modern appliances available for residents create a living atmosphere that you can’t wait to come home to. If you’re used to having an animal companion, you’re in luck! Pets are welcome at our apartment community, as long as they are 45 pounds or less! With its centralized location in the heart of downtown Tucson, residents will have convenient access to various salons, coffee houses, restaurants, and entertainment! You will also be right by the streetcar line, providing you with easy access to other shops and activities beyond walking distance of your front door. As a resident, you’ll be in the middle of all the action if you choose to to be, but if not, you can enjoy the natural serenity of your peaceful apartment. Once you’ve explored our floor plans and amenities, you can contact us or apply for an apartment at One East Tucson!